We’re nearing the end of #VolunteerWeek, a week dedicated to celebrating all of the fabulous and wonderful volunteers who make a huge difference to people’s lives! At Peter Bedford Housing Association, we have a number of volunteers whose selfless hard work and dedication helps us in our mission to inspire people with vulnerabilities to realise their potential, build on their strengths and achieve independence. Thank you to all of our amazing volunteers present and past, we appreciate you very much! Liz and Marlon are our volunteers who cover our reception, our front of house duo! They help us with a range of tasks, such as sorting post, creating posters, and keeping our tenants updated by sending out our huge mail outs! 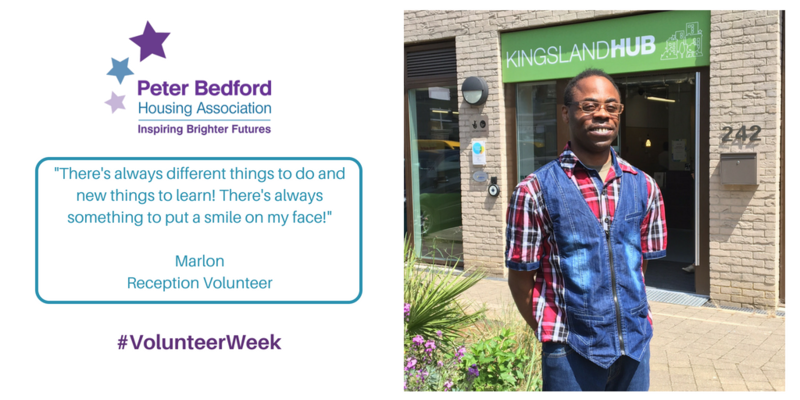 Marlon loves volunteering at Peter Bedford HA because “there’s always different things to do and new things to learn! There’s always something to put a smile on my face!”. 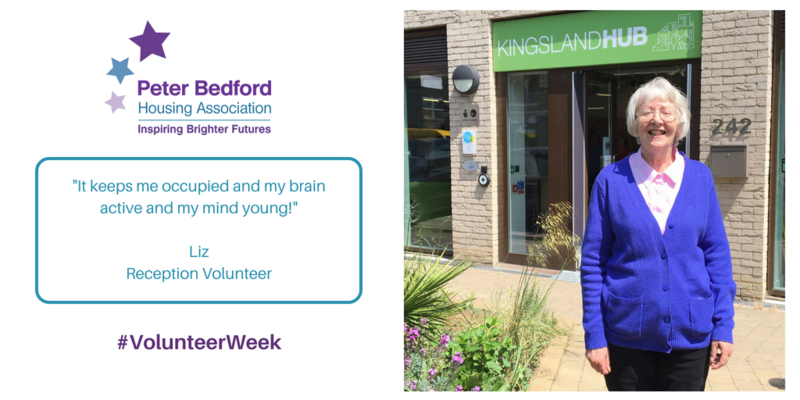 Liz loves volunteering at Peter Bedford HA because “It keeps me occupied and my brain active and my mind young!”. Want to volunteer with us? Check out our current volunteering positions here. We are always looking for volunteers so if there isn’t anything you fancy advertised then give us a call or pop us an email, we’d love to have a chat.